Check out www.facebook.com/avmba for the most up to date info on events and group rides! Park at the trail head at the end of Gladys Porter Dr, Kentville, just behind the apartment buildings. This trail system is best suited for intermediate and advanced level riders. Lots of fun and technical riding to be found! Expect a ton of roots, rocks, steep climbs, rough downhills and tons of technical trail features. Some newer sections are more open and smooth. A small skills park is located beside the parking lot including drops, jumps, log rides, rocks and more! If you're in to free riding, this is a great system for you, with plenty of drops, log rides and bridges to play on, always inspect features before attempting them. 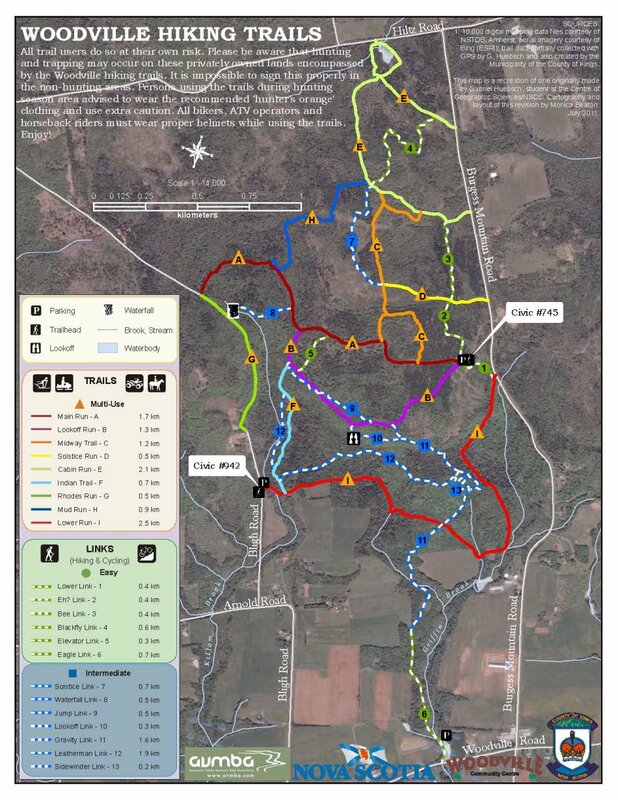 TrailFlow hosts multiple races and clinics here each year for DH, XC and Enduro. 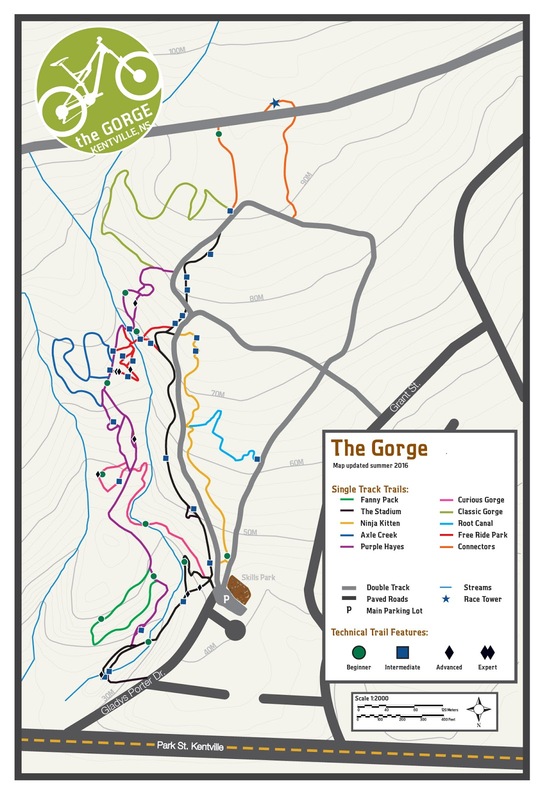 Currently there is a main trail head map, smaller in trail maps, and trail tree markers. Enough riding to keep you busy for 1-3 hours. Trail head is located just beyond the driveway at 360/365 East Davidson St. on the Gaspereau Mountain. Tight, twisty trail with some great flow! 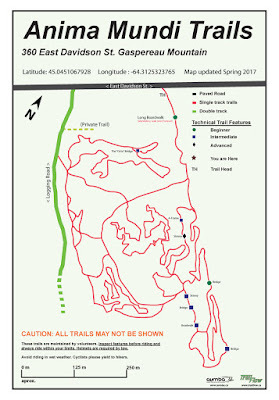 Excellent trail system beginners with a good skills base and intermediate riders. Not much in the way of climbing. Many of the trails have the feel of a pump track, rolling up and down on the small mounds that make up the terrain. 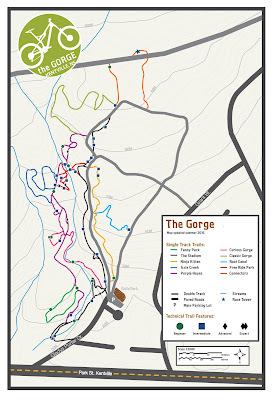 A large map sign is found at the trail head and smaller maps are placed on trail at various intersections. Look to spend 1-2 hours riding here. Also known as the Woodville Hiking Trails, Entrances Bligh Rd. and Burgess Mountain Rd. in Woodville. This is a large trail system with plenty to offer. The trails on the top of the mountain are typically easer then those that run down the side. Most of the trails are signed and well marked. Suitable for all ability levels, you can spend 1-4 hours riding here. 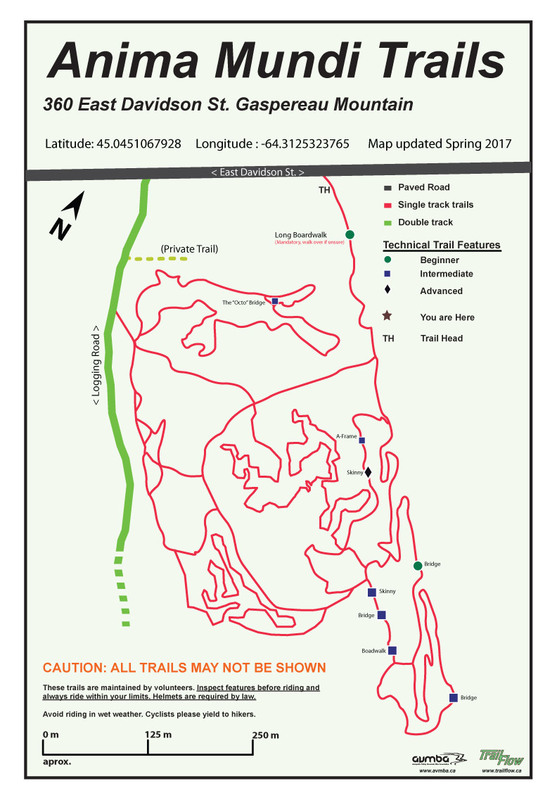 Find more trails and great places to ride on TrailForks! *TrailForks is a user developed open-source trail mapping tool. As a result data may or may not be accurate, please use discretion. Please do not trespass and only use authorized trails. ©2017 Annapolis Valley Mountain Bike Association. Picture Window theme. Theme images by Nikada. Powered by Blogger.